A severe brain injury can have devastating consequences to both the victim of the injury and the family of the victim. Brain injuries usually offer little hope of recovery and can limit a person’s ability to earn a living, alter their personality and destroy lives. If you or a loved one has suffered a traumatic brain injury, you should contact a Riverside brain injury lawyer at the law firm of Aitken * Aitken * Cohn. Our attorneys demand justice for injured persons and their families. We will fight aggressively to get you the maximum amount of compensation possible. Any impact on the skull can cause a mild brain injury. Severe brain injuries caused by blunt trauma, called traumatic brain injuries, are usually caused by serious accidents. Blunt force impacts from car accidents, falls from elevation and sports injuries are common causes of traumatic brain injuries. Violent crimes are also sometimes responsible for traumatic brain injuries, whether from simple assaults or shootings where a bullet passes through the brain. Oxygen deprivation is responsible for hypoxic brain injury and anoxic brain injury. Hypoxic brain injury means the brain was starved by a partial lack of oxygen, while anoxic brain injury means it was totally deprived of all oxygen. Hypoxic brain injury can be caused by near drowning, choking, cardiac arrest and carbon monoxide poisoning. Carbon monoxide is also a leading cause of anoxic brain injury, along with electrical shock, drowning, heart attacks and strokes. Brain cells begin to die after four minutes without sufficient oxygen, and when deprived for five minutes, anoxic brain injury will occur. Anoxic brain injury is life-threatening, disabling and offers little chance of full recovery. If you or a loved one has TBI symptoms following an accident, or have sustained an anoxic brain injury, you should contact an attorney at Aitken * Aitken * Cohn after receiving medical help. 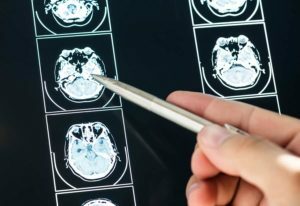 Our lawyers have helped several Riverside brain injury patients with extremely successful results. In a free consultation, a brain injury lawyer will evaluate your situation and help you receive the maximum compensation for the injury.